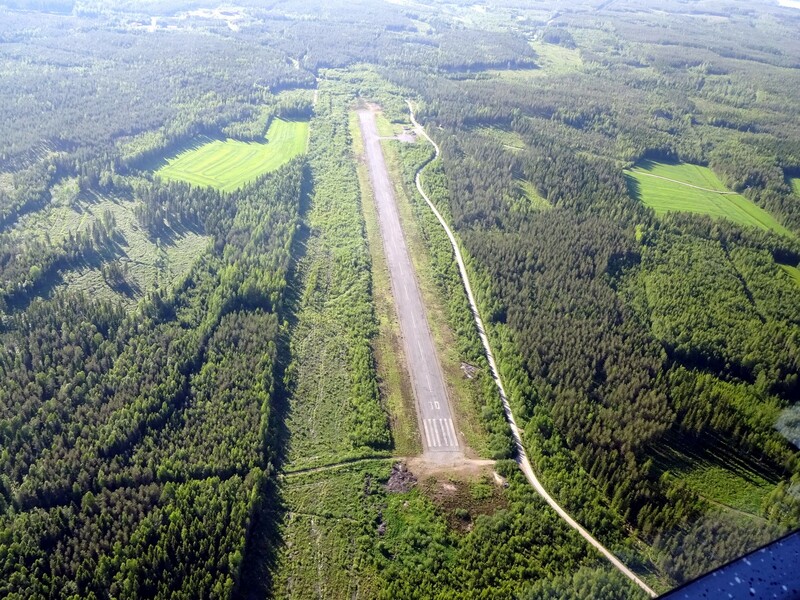 This airfield located in the town of Kivijärvi, in central Finland, is quiet but in excellent condition. The field is only actively used by local paragliders, but it is in good shape for all small aircraft. 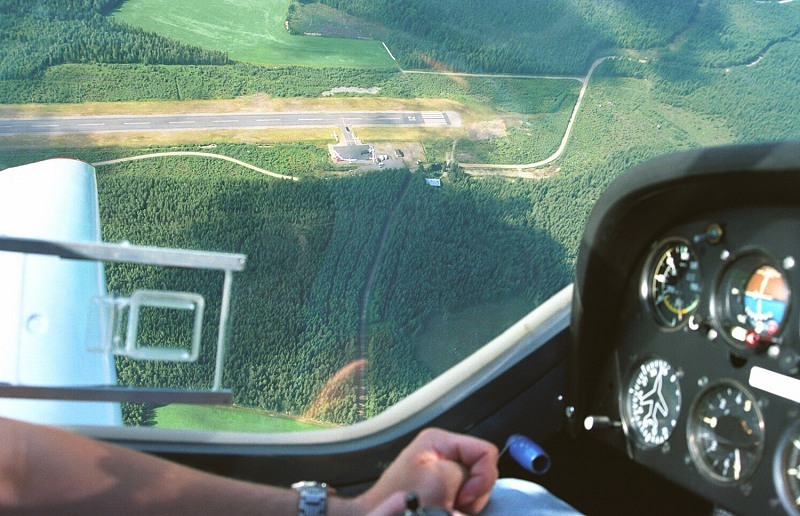 The runway has been renovated and extended in 1998, at which time a small airfield office building was built, including a bathroom, and a preflight preparations room with a small kitchen. 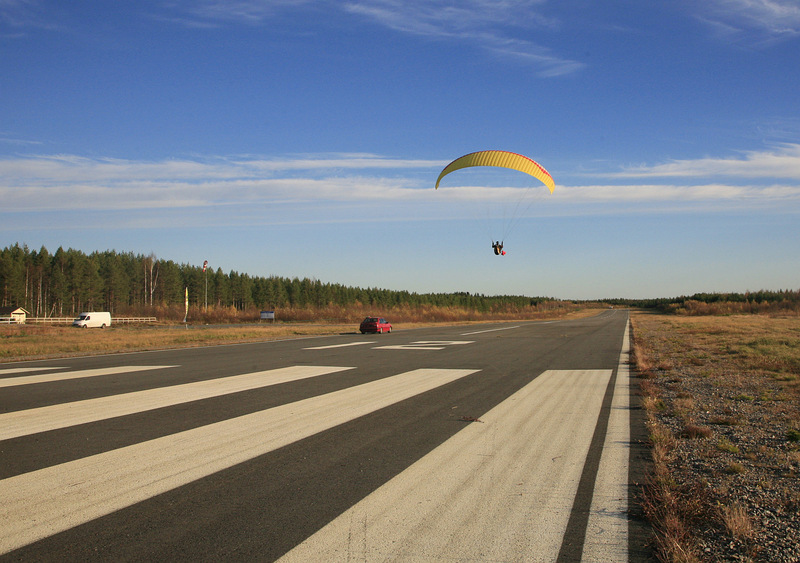 Runway and a small apron in excellent condition. 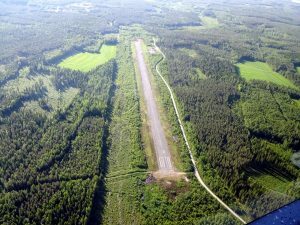 Runway surrounded by grass, which is typically cut once per summer. 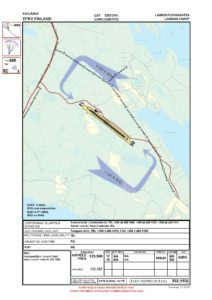 No significant obstacles around the runway. The surrounding lake, Kivijärvi, is beautiful. Closest restaurants can be found at the town of Kivijärvi, about 3 kilometers to the east. 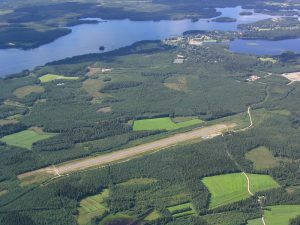 Kivijärvi airfield from the air as seen from the east side of the field 31.7.2005. In the background Kivijärvi village. Photo by Pekka Lehtinen. Kivijärvi airport from the air as seen from the north side of the field in July 2002. Photo by Pekka Lehtinen. 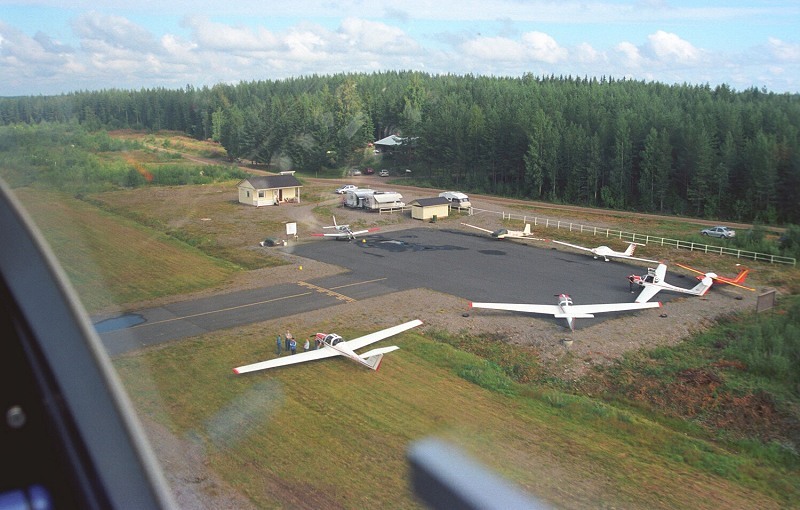 Kivijärvi Parking area during the national motorglider fly-in in the summer of 2002. Photo by Pekka Lehtinen.